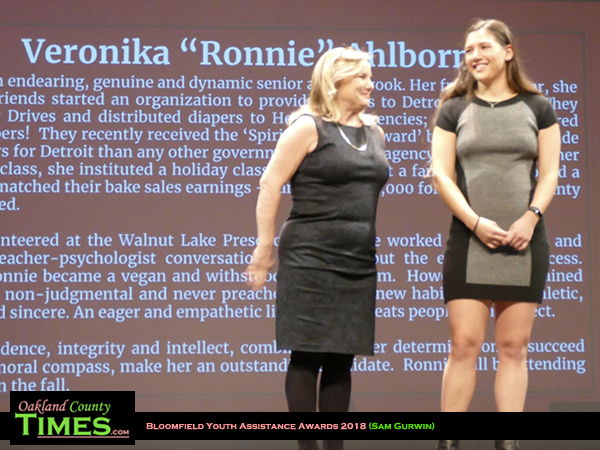 Bloomfield Hills, MI – Not your glamorous celebrities strutting up to the podium for an acting award. 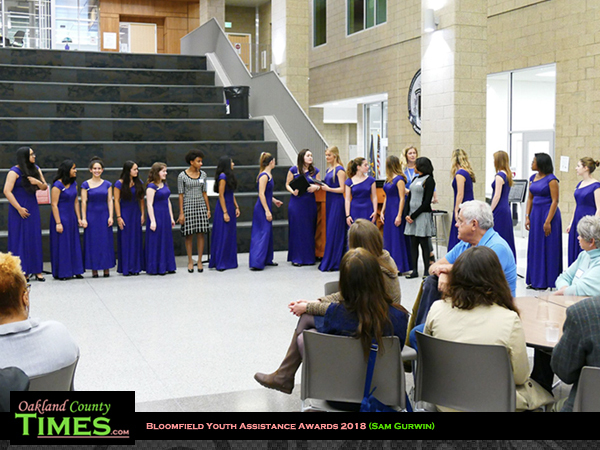 This night is about student heroes making positive changes in the local community of Bloomfield Hills. Changes that began with wanted effort to better themselves and their surroundings. 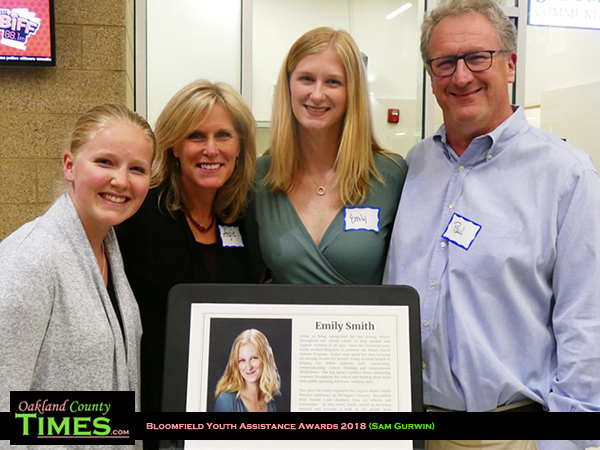 Since 1967, young people from the Bloomfield Hills area have been helped by a great organization that assists both troubled and stellar students become better by getting the strength and values needed to excel in this life. 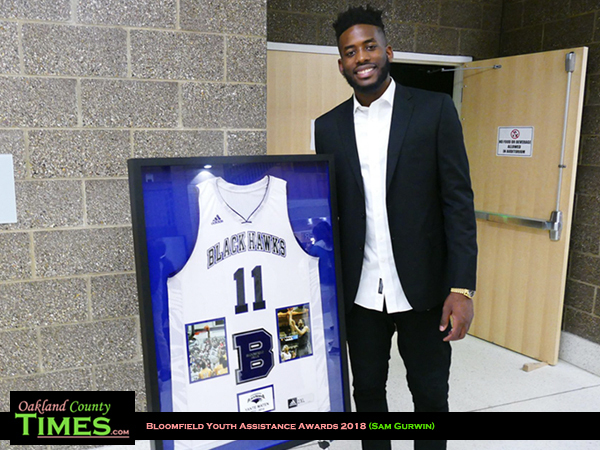 This is the Bloomfield Hills Youth Assistance Program. It is a community-based counseling and prevention program helping youth to stay on the right path. 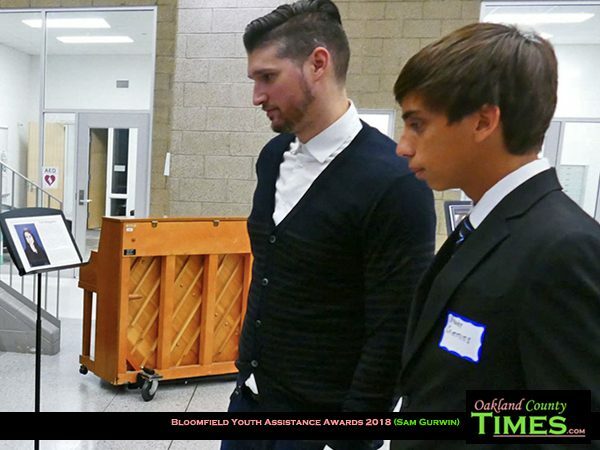 In conjunction with Oakland County Youth Assistance, the struggles of teenage life are addressed. This can be anything from stress and social anxiety to poverty-related issues, family trouble, abusive relationships, substance abuse, and crime. The success of the program shows in the progress students make. 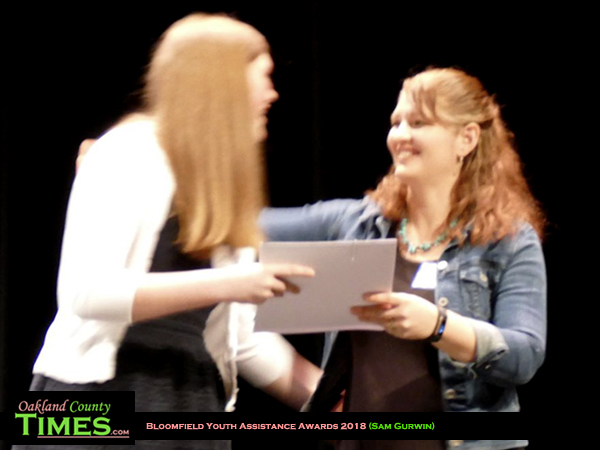 Over twenty students were recognized for their achievements. Among those honored were Braden Crimmins who has taken an interest in politics and law. 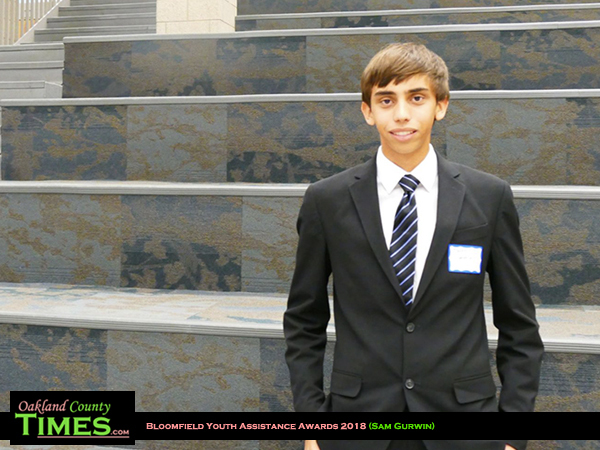 He’s been active in the Student Model United Nations Club, and plans on making the world a better place. 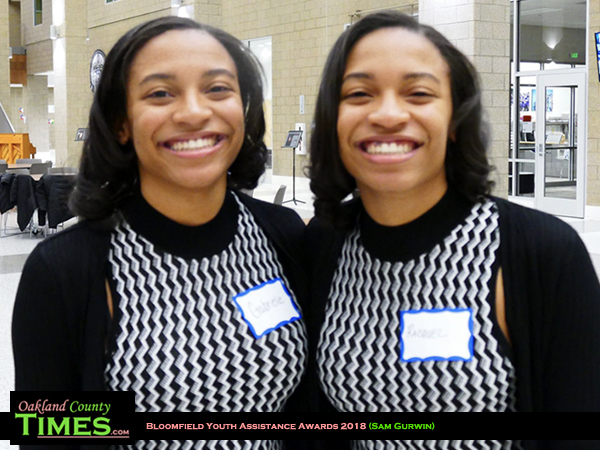 Raquel and Gabrielle Wright were honored for their community service. This included their participation in the Black Students Alliance, helping new students get adjusted to the High School, helping repair vandalism in the inner city and assisting in Urban Farming programs. With bright smiles and kindness, these young ladies look forward to helping in the community as they grow. Teacher Teacher Kerry Kerby was also given a special honor, a scholarship fund has been established in her name to be given to students in future years. Yante Maten was the speaker of honor. Maten is a star college athlete at University of Georgia with a great basketball record and a likelihood of going pro. Maten grew up in Pontiac and graduated from Bloomfield Hills High School. The school retired his high school jersey at the event. 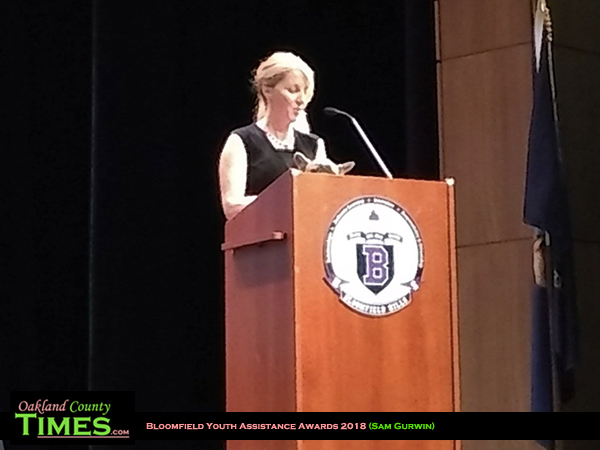 Also at the gala was successful entrepreneur Michelle Winowich of Shark Tank fame, who spoke about the importance of believing in yourself and persevering though life’s difficulties. 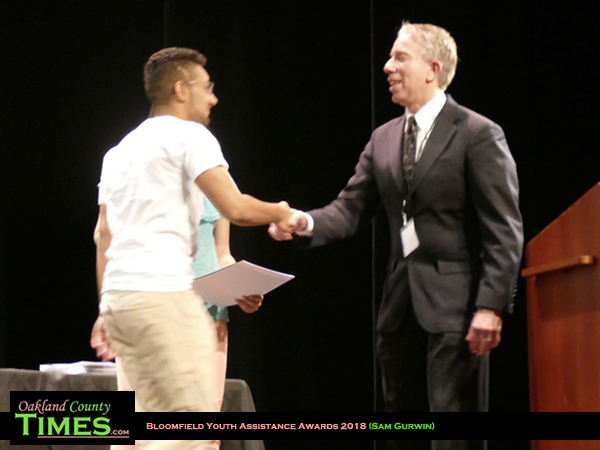 Learn more about Bloomfield Youth Assistance at https://www.bloomfield.org/community/community-organizations/bya.